Shalom and Welcome to Vancouver! Due to the high volume of visitors passing through Vancouver, we have placed all the information you would need to know (which are available to us) on these pages. Please take a few moments to browse through the visitor info pages below before contacting our office, as you will find here the answers to the most common questions. If further help is needed, please contact us by email only. We will do our best to respond promptly. 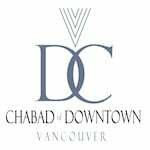 Please note: The Chabad House is located at 1260 Howe Street in the heart of downtown Vancouver, within walking distance from all downtown hotels (the "633 Prior street" address is our mailing address, not the Shul). Looking for accommodations in Downtown Vancouver? Help us to provide the same experience for the many other visitors that pass through Chabad of Downtown by submitting your secure online donation today!